The Maxspect XF350 Gyre Flow Pump w/ Controller is the pinnacle of pump design, performance and control. This third generation version incorporates all of the amazing features of the original Gyre pumps and improves on them. You can add a second Maxspect XF350 Gyre Flow Pump Only and have the two XF350 Gyres controlled with the same Controller. The XF350 features five Controllable flow modes (constant speed, pulsing, gradual pulsing, alternating backward and forwards & random) to create complex flow and wave motion in your aquarium. 24 hour control. Also has 10 minute feed button. The controller is backwards compatible and will work with all earlier versions of the Gyre. Applicable for glass or acrylic aquariums up to 3/4 in. The Maxspect XF330 Gyre Flow Pump w/ Controller is the pinnacle of pump design, performance and control. This third generation version incorporates all of the amazing features of the original Gyre pumps and improves on them. You can add a second Maxspect XF330 Gyre Flow Pump Only and have the two XF330 Gyres controlled with the same Controller. 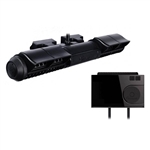 The XF330 features five Controllable flow modes (constant speed, pulsing, gradual pulsing, alternating backward and forwards & random) to create complex flow and wave motion in your aquarium. 24 hour control. Also has 10 minute feed button. The controller is backwards compatible and will work with all earlier versions of the Gyre. Applicable for glass or acrylic aquariums up to 1/2 in. The Maxspect XF350 Gyre Flow Pump Only requires a Controller. A Controller is sold as part of the Maxspect XF350 Gyre Flow Pump w/ Controller package. If you purchase the package you can add this XF350 Gyre Flow Pump Only to your system and have the one Controller control both Gyre Flow Pumps. Similar to the Maxspect Gyre flow pump, the IceCap 3K Gyre Flow Pump is capable of generating the iconic Gyre water movement within aquariums without breaking the bank. Single magnetic mount makes the pump simple to install. 5 Controllable flow modes and programmable 24 hour flow period. This max flow 3,000 gph pump is appropriate for aquariums from 25 to 100 gallons. The unique Gyre flow virtually eliminates dead spots. Evenly distributed linear flow. 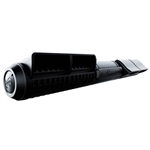 The Maxspect XF330 Gyre Flow Pump Only requires a Controller. A Controller is sold as part of the Maxspect XF330 Gyre Flow Pump w/ Controller package. If you purchase the package you can add this XF330 Gyre Flow Pump Only to your system and have the one Controller control both Gyre Flow Pumps. Similar to the Maxspect Gyre flow pump, the IceCap 1K Gyre Flow Pump is capable of generating the iconic Gyre water movement within aquariums without breaking the bank. Single magnetic mount makes the pump simple to install. 5 Controllable flow modes and programmable 24 hour flow period. This max flow 1,000 gph pump is appropriate for aquariums from 20 to 50+ gallons. The IceCap Interface Module for IceCap 3K Gyre Flow Pump will control your IceCap 3K Gyre Flow Pump w/ Controller using a controller, such as the Neptune Apex, with a 0-10v port. It also works with the Ice Cap Gyre Battery Backup to conserve battery life during a power outage. 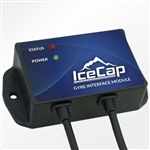 The IceCap Interface Module for IceCap 1K Gyre Flow Pump will control your IceCap 1K Gyre Flow Pump w/ Controller using a controller, such as the Neptune Apex, with a 0-10v port. It also works with the Ice Cap Gyre Battery Backup to conserve battery life during a power outage. The Ice Cap XF150/250 Gyre Interface Module will control your Maxspect Gyre XF150 or Maxspect Gyre XF250 using a controller, such as the Neptune Apex, with a 0-10v port. It also works with the Ice Cap Gyre Battery Backup to conserve battery life during a power outage. The Ice Cap XF130 & XF230 Gyre Interface Module will control your Maxspect Gyre XF130 or Maxspect Gyre XF230 using a controller, such as the Neptune Apex, with a 0-10v port. It also works with the Ice Cap Gyre Battery Backup to conserve battery life during a power outage. The Ice Cap Gyre Battery Backup is for any serious aquarium hobbyist that wants to protect their investment in the case of a power outage. Compatible with most DC variable speed pumps 12-24 volts. Four to six hours without pump flow can cause the death of valuable fish and corals. Extreme weather can strike at anytime, and you can’t always predict the outcome. By adding an Ice Cap Battery Backup, your tank’s flow will continue for up to 35 hours after the power goes out (up to 17 hours for two pumps). Add a second battery backup to double the run time. If you use this Battery Backup with a Maxspect Gyre Generator, Ice Cap Gyre Interface Module and compatible controller (such as a Neptune Controller), the Interface Module will automatically detect when the main power is lost and will slow the Gyre the 30% speed to extend the life of the battery. Compatible with most DC variable speed pumps 12-24 volts. Works with the Maxspect Gyre Generator. This Maxspect XF150 Gyre Generator Reinforcement Magnet Kit replaces the magnet in the XF150. It can handle glass/acrylic panels up to 1-1/4" thick. Manufacturer Product Code: GP-RFMAG. This 6.5 ft cable allows you to independently control two Maxspect Gyre Generators in a forward direction by only occupying one full Variable Speed port on your Neptune Systems Apex Controller. Two Ice Cap XF150 Gyre Interface Modules or Ice Cap XF130 Gyre Interface Modules are still required. Manufacturer Product Code: IC-GIM-Y. This 6.5 ft cable allows you to run your Maxspect Gyre Generator in both forward and reverse direction by using one full Variable Speed port on your Neptune Systems Apex Controller to connect two 0-10v signals to a single Ice Cap XF150 Gyre Interface Module or Ice Cap XF130 Gyre Interface Module. Manufacturer Product Code: IC-GIM-AGMCBL. Replacement Maxspect XF150 Gyre Generator Protective Mesh Covers.